« Don’t lose out – are you claiming tax back for cleaning your uniform at work? 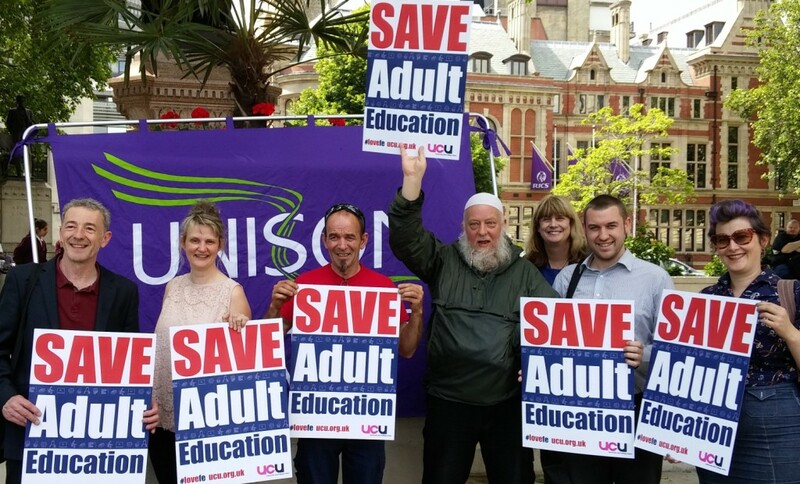 Staff from The Manchester College took part in a UNISON delegation to join further education staff from across the country in a lobby of Westminster last week to oppose the savage 24% cuts to adult education. Hundreds of activists took part in a rally outside parliament before heading inside the House of Commons to speak to politicians. The delegation met supportive MPs including Jeremy Corbyn, Catherine West, Cat Smith, John McDonnell and Angela Rayner who pledged to defend the FE sector and agreed that education was the great equaliser and needed to be affordable and accessible for all. Eleanor Bullen, UNISON rep at TMC, told the meeting in parliament that people with disabilities would be disproportionately hit by government cuts and highlighted the important work that support staff do in colleges.